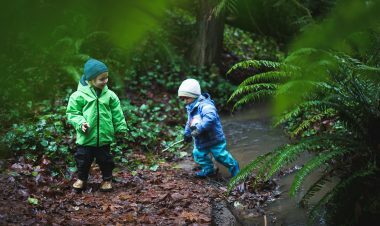 Whether you’re new to hiking with your baby or toddler, or you’re looking for a new trail to explore, the Hike it Baby community is a valuable resource for finding family hiking trails around the country. In this article, we share three kid-friendly hikes in Pennsylvania to explore with babies and young children. 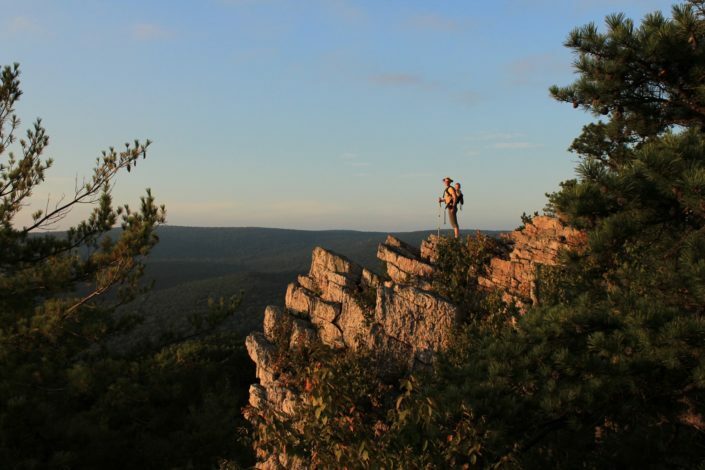 You don’t have to be a thru-hiker to enjoy the Appalachian Trail, but you can visit Pine Grove Furnace State Park to get the flavor of the AT experience. There’s a perfect toddler out-and-back trail that you can do as either 2 or 4 miles. The short version starts at Bunker Hill Road and about half a mile in, the trail meets up with the midway point of the AT. The terrain can be rocky in parts, so consider a carrier for smaller kids. If you consider making a weekend of it, get a campsite and explore other nearby trails like the Pine Grove Furnace hike (2.5 miles paved/gravel) from Fuller Lake to Laurel Lake. There is swimming at both Laurel and Fuller Lakes and canoeing/kayaking at Laurel if you make it there in the summer. There is also a spring to refill water bottles along the way. Visit the Appalachian Trail Museum, which sits near the midway point of the 2,186-mile trail. The museum pays tribute to trail pioneers like Early Shaffer, Grandma Gatewood, Gene Espy and Ed Garvey. Or stop by the Children’s Discovery Center and let your kiddos explore. Treat yourself to some ice cream at the general store as a reward to the kiddos. This 2-mile trail is a wide mostly flat trail through the Gettysburg battlefields and is part of the Gettysburg National Military Park. There is only one small stream (puddle?) crossing if it has been rainy. 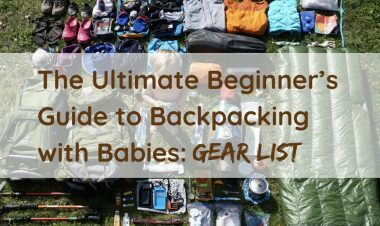 An all-terrain stroller would have no issues, and being that the trail is in an open area, there are tons of options to improvise. The trail goes through a grassy area giving great views of the historic battlefields, and there is the option to stop at several historical monuments. The path crosses park roads, so it’s very easy to modify the route and distance to suit the needs of a group. A bonus, the Devil’s Den rock areas is like a playground for kids! This is where you can park and jump on the path. 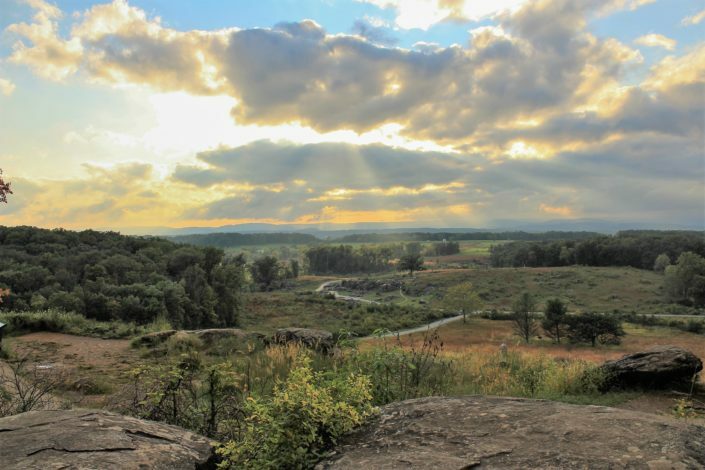 Park at Devil’s Den and either take the hiking trails through the actual battlefields or if you prefer to push a stroller, walk up the road to Little Round Top which gives one of the best views looking down onto the battlefield. Leave extra time to climb the tower (or “castle” as the kids call it) and play on rocks. However, make sure kids don’t stash any rocks in their pockets! Legends have it that it’s bad luck to take rocks from Devil’s Den! The Wildwood trail is paved/gravel and great for strollers, carriers and walking kiddos. There are various routes one can take to make the trail shorter (.25 – .5 mile) or longer (main loop is 3 miles). The trail is scenic, and kids have a blast looking for various wildlife (deer, turtles, chipmunks, ducks/geese, etc.). The nature center is also tons of fun and very educational. Wildwood also offers various programs and activities geared to outdoor/wildlife education. Wildwood has a 3-mile loop, but there are shorter trails that join the main loop so you can make your hike as short or as long as you like! 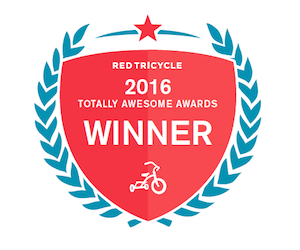 The main trails are great for mamas with younger kiddos as they are paved or crushed gravel and stroller-friendly. The center is open Tuesday-Sunday from 10 a.m. to 4 p.m., and trails are open from dawn to dusk. If you’re traveling through Pennsylvania and need more information or recommendations on trails or would like to join a group hike, the nearest Hike it Baby branches are in Gettysburg and Harrisburg. Trail reviews and photos by Liz Knapp and Kendra Reeder. 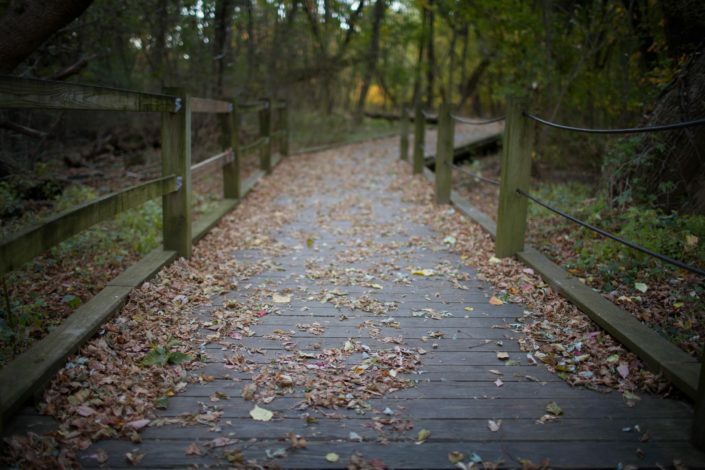 Featured photo by Liz Knapp from Battlefield Trails. Trail Tips Hiking with Kids, Pennsylvania hiking trails, state trail series. permalink.